A third-year law student at Georgetown University is among the 157 people who died after an Ethiopian Airlines plane crashed Sunday morning, the school said. 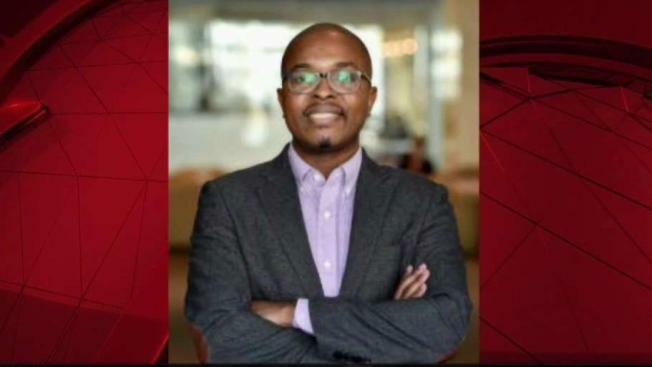 Cedric Asiavugwa, a student at Georgetown Law, was on his way home to Nairobi, Kenya, after the death of his fiance's mother, when the jetliner went down shortly after taking off from Addis Ababa, Ethiopia, Georgetown Law Dean William Treanor said in an email to the university community. "With his passing, the Georgetown family has lost a stellar student, a great friend to many, and a dedicated champion for social justice across East Africa and the world," Treanor said. The airline crash on Sunday killed 157 people from 35 countries when the Boeing 737 Max 8 faltered and crashed shortly after takeoff. There were no survivors. Asiavugwa was born and raised in Mombasa, Kenya, and graduated from the University of Zimbabwe with highest honors, according to the university. "His commitment to issues of social justice, especially serving refugees and other marginalized groups, led him to Zimbabwe, Kenya, Uganda and Tanzania before coming to Georgetown," Treanor said. Asiavugwa was an active member of the university's campus ministry, and was a Residential Minister in one of the school's residential dorms. "He was a beloved member of Georgetown’s Campus Ministry offices, tending to a group of first-year undergraduates for the last three years as a Residential Minister in the New South residence hall on the Hilltop and also interning in the Law Center’s Campus Ministry office," Treanor said. Asiavugwa will be remembered for his "gentle soul" and "infectious smile," Treanor said. Fr. Greg Schenden, S.J., the director of campus ministry at Georgetown, told News4 that Asiavugwa was "a person of incredible kindness" who had a passion for social justice. According to Schenden, Asiavugwa was a Jesuit but left before ordination to the priesthood. He then worked at St. Aloysius Gonzaga Secondary School, a free high school for orphans with HIV/AIDS in Nairobi. At Georgetown, he participated in the law school's Center for Applied Legal Studies clinic, where he assisted refugee clients who sought asylum in the United States. "Cedric's goal was to return to Kenya after his studies to pursue a career promoting the rights of refugees in East Africa and beyond," the letter said. The 7 p.m. Mass at the Dahlgren Chapel of the Sacred Heart on the Georgetown main campus was held in his honor, the school said.